In April 2018 a total of 33,291 story books were supplied to the 59 schools being supported by the Learn to Read Project (ILEAP) in Ngora, Eastern Uganda. The story books, commissioned by Build Africa in both English and Ateso (the local language), are helping 23,675 young children to develop their reading abilities. They include traditional stories and fables, fiction books, riddles, songs, poems and factual books. Teachers and pupils were overjoyed with the arrival of the books as it is the first time young students have access to age appropriate reading books, written in their mother tongue. The impact of this project cannot be overstated – now, these young children can learn to read, making them far more likely to complete school. 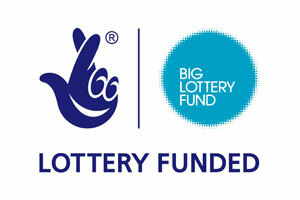 This would not have been possible without the generous support of The Big Lottery Fund.